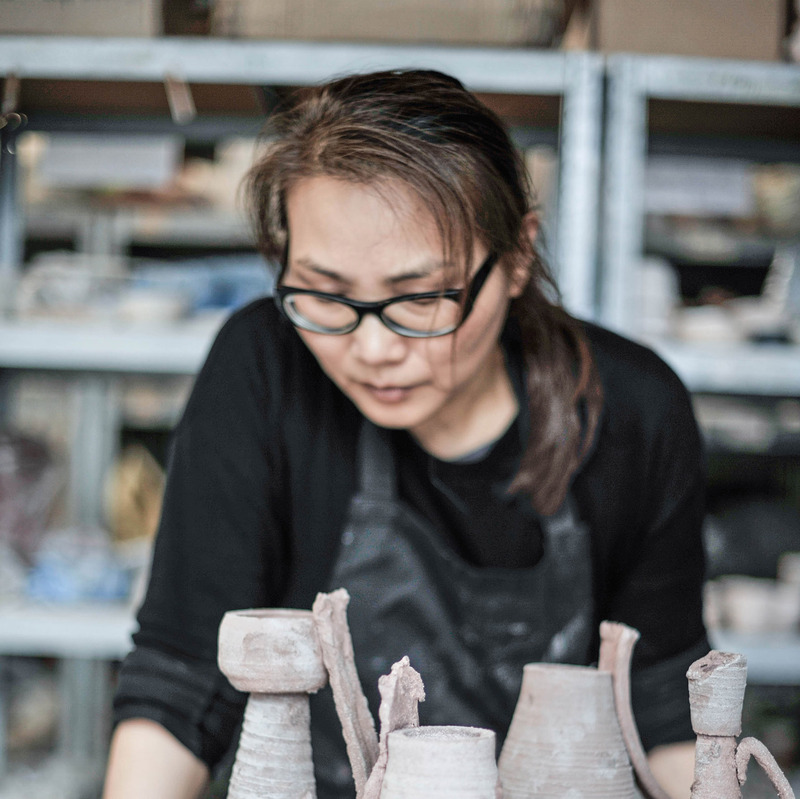 Young Ran Lee is an artist and ceramicist living and working in Italy. Her work explores sculptural and architectural objects combined by wheel-throwing and hand-building. She focuses on the observation of consumed, abandoned, degraded, fragmented and scattered objects of urban environments, transforming them with an intuitive approach. Each piece is like a walk in megalithic sites in a distant era. My rebellion could be seen as a refuse of all traditions and modern conventions. My intention when I make my works is to give them a kind of mysterious meaning like a ritual object coming from a distant era. Do you need to be a rebel to enjoy your bowls? Not at all, my aim is create consciousness through the use of unusual objects. Do you use your own bowls? Yes, sometimes for a very special dinner. Yes, it would be made by many different, unconventional and even yet unimaginable materials. My inspiration comes from a virtual walk in a megalithic site. I often use stoneware clay, and high temperature glazes made by myself. The raw materials I source from different suppliers in the UK, Ireland, Italy and Germany. I am making large vases and sculptures with different surfaces. Tomorrow is now for me. I enjoy producing things that make me feel happy. When I had dinner for the first time in a Buddhist temple in Korea. Constantly experimenting with forms and surfaces, facing new challenges. I love the Slate Plates by Matthias Dyer, the Beak Pliers Spoon by Sophie Hanagarth, and the Sprouting Spoon by Nils Hint.